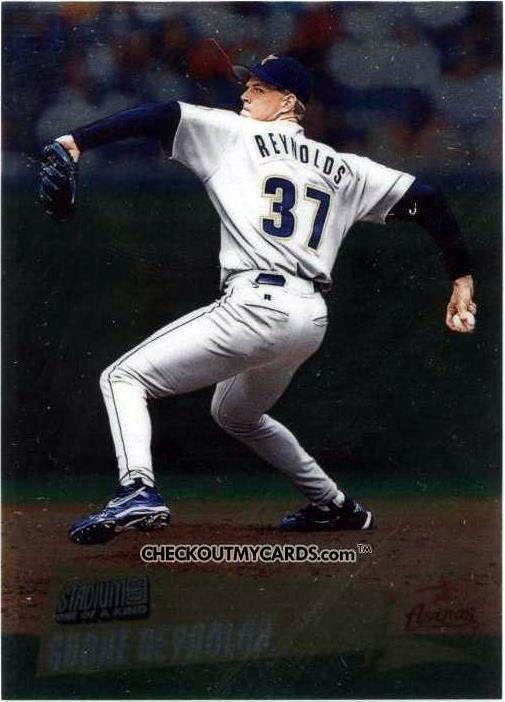 Born on today's date in 1968, workhorse righty Shane Reynolds. Shane's the only MLB player born on March 26th to win at least 100 games, totaling 114 over 13 years for the Astros (103), Braves (11), and (sort of) Diamondbacks (0). Reynolds started 30+ games for Houston 5 straight years from 1995 to 1999 and ranks 8th all-time in franchise wins. Topps added this "One of a Kind" gold parallel to their 250-card Stadium Club issue and numbered each to 150. 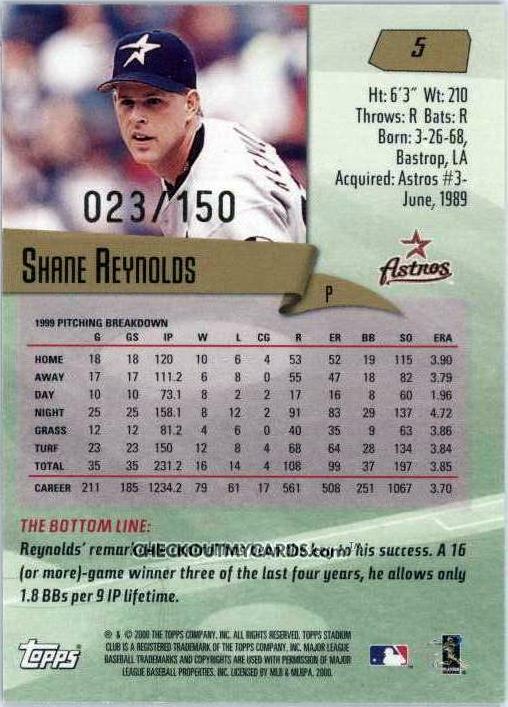 Reynolds only appears in the base set and parallels; bigger stars show up multiple times in the game-used, autographed, and die-cut subsets (checklist and set breakdown at BaseballCardPedia). Fakes / reprints: Plenty of 2000-era parallels reached the market and don't cost much today, so I doubt anyone would fake this set.